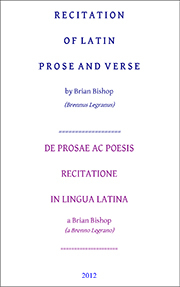 All interested in Latin can enjoy and benefit from this book, especially those seeking to embrace the living voice of the language. Omnibus, qui linguam latinam colunt, praesertim illis, qui vocem linguae semper vivam amplecti cupiunt, hic liber usui et voluptati erit. iPodius © 2013 by Bolchazy-Carducci Publishers, Inc.